Because they are not ultimately OUR girls… They are His. Especially at this time of the year, the world promotes “Peace on Earth.” From hearing “Silent Night” in commercials to viewing the warm, bright Christmas lights being hung up– usually in the days following Thanksgiving– all over the streets and buildings, the whole world advocates for a time of restoration, reconciliation, and peace. But, if you have been on this earth for any amount of time, you realize that this is not the case. Actually, it is quite the opposite. We want Peace so much because we know how chaos feels. And though the Nigerian public has put up a front, saying that there is more Peace than ever in Northern Nigeria, the truth is that Boko Haram perpetrated at least two more attacks in the past couple of weeks, causing the deaths of 50 and 60 people, respectively (source). Not only are the attacks from Boko Haram resurgent; according to this report, approximately 235 people in Nigeria have been killed by Boko Haram in 2017, by the Bachama ethnic group, and by militias and indigenous groups causing wars between one another. Over and over again, human beings have tried their best to be as righteous as they can be; aiming for true World Peace, but gravely missing the mark. We want reconciliation, wholeness, and healing. We don’t only want it; we need it. Desperately. But, age after age, we cannot do it ourselves. Friend, this is the exact reason for why Jesus came. 2,000 years ago, Jesus came into this world on what has been described by much of today’s culture as a perfect, silent, holy night. While this is somewhat true– in that it was definitely Holy, a day foretold by the prophets– I do not believe Jesus was born into a wonderful, peace-filled environment. In fact, the Bible describes it as something much different. For one, Jesus’ birth happened in a stable, and there was no room for Mary, Joseph, or Jesus in an inn (Luke 2). He was not born into a world of luxury or possessions; immediately, he faced the elements. From the start, Jesus was not brought into a world of ease; he was brought into the world very much like those suffering horrific circumstances: on the run, amidst much despair, murder, and human war-mongering. Think of it: Jesus’ whole life was to be spent as the ultimate sacrifice for humanity’s sin (1 John 2:2). He was ultimately born to save us from our sins. His entire earthly life and ministry was to end in a bloody, unbelievably and indescribably painful death. Because of this, Jesus knows– more than any other human– of the depth of sin, and the depth of the war that naturally ensues because of it. 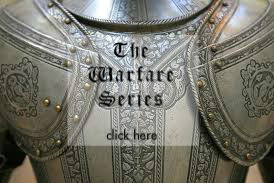 But Jesus’ sacrifice is also apart of the reason He is known as the “Prince of Peace” (Isaiah 9:6). Prophets, like Isaiah, foretold that the Messiah would cause there to be “Peace on Earth,” where “the lion [would] lay down with the lamb” (Isaiah 11:6). Many cite this as the reason for why Jesus is not the Messiah. “If Jesus is the Messiah,” people ask, “then why is there still war?” What people fail to understand is that the Messiah was prophesied as coming two times, one time to save all of humanity and provide a way for them to know God the Father, and another to judge humanity and usher in His Kingdom of Peace (for more on this concept, I encourage you to watch this video). Though it has become somewhat of a cliche, it is still true: Know Jesus, Know Peace, no Jesus, no Peace. Jesus came to save those who believe on Him from God’s wrath, by being the sacrifice needed; without Him, peoples will be judged according to their own actions– and will always come up short (Romans 3:23). The Peace the world needs can only come from knowing Jesus Christ as Lord and Savior (John 14:6). One cannot expect Peace and Reconciliation any other way than God’s way. So, with this in mind, please pray for revival in Nigeria. Not just one of intense spiritual experiences, but one of coming back to adherence to the Bible, and of coming to know Jesus for the first time– or coming back to Him as their First Love, as Revelation 2:4 states. And as we focus on praying for Peace, please ask Jesus to search your own heart, and for Him to show you where there is a lack of relational Peace, be it with Him or with others. Ultimately, let us praise Jesus for granting us His Grace and Peace, through the Cross, the Ultimate Act of Reconciliation– and for the Peace He will one day bring. A common greeting in the New Testament is “Grace and Peace to You.” It expresses that only by Grace, through Faith, are we able to receive salvation– and the Peace beyond understanding it brings. Are you resting in Jesus’ Grace and Peace, today? Meet the God who– in perfect Love for you– came down to Earth, to bring you His free gift of Salvation and Peace, here. The salvation of those in Nigeria– especially those in Northern Nigeria, which is mostly muslim and indigenous in their religion. For Peace. With Jesus as their King, please pray that Peace would begin to form and shape whole communities, as Christ calls all to reconciliation with Himself, and with others. For Peace in your life and mine, personally. That we and others would know Jesus– and that we would live out bringing His Peace to others in every part of our lives. 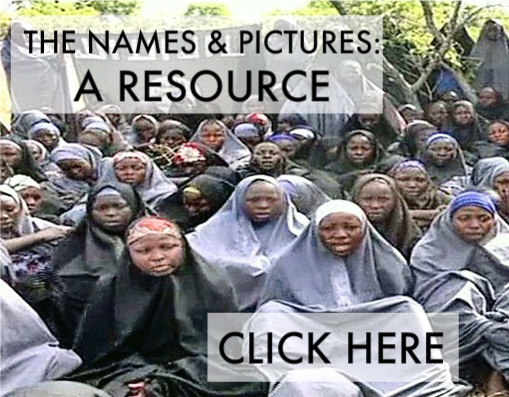 For last, but not least, the Chibok girls– those found in the very midst of the warfare. Please pray for breakthrough for the 113 still missing– and the 163 who are still healing from their trauma. Please pray that Jesus would save, help, and protect them all, this holiday season. your faithfulness reaches beyond the clouds. your justice like the ocean depths. It is unavoidable to talk about. This past weekend in Northern Nigeria has been filled with terror, and grief, and injustice. On Sunday, two little girls– around 7 years old— were strapped to explosives, and walked into a busy market in the state of Borno, Nigeria (source). Detonating their explosives, they killed one other person, and injured 18 people. “They got out of a rickshaw and walked right in front of me without showing the slightest sign of emotion,” one soldier told the Daily Mail (source). Not responding to anything he said, the girls walked into the crowd, straight-faced, before blowing up the explosives put upon their young frames. These little girls were not the only bombers. On Friday, December 9th, two women walked into a market in the city of Madagali, Nigeria. Walking to the opposite sides of the crowded market, they also killed themselves– blowing themselves up while killing 45 people, and injuring 33 (source). A little child, probably around 3 years of age, drinks from a tin cup, held up by their mother. On their head, a plastic IV nodule is attached, so that nurses can transfer fluids into their frail, young body. In a region that normally holds 60,000 people, approximately 140,000 Nigerian refugees have flooded in, fighting and running from Boko Haram. Without much space to hold them, many refugees stand in lines for aid and food, while others, not unlike the child described in the paragraph above, lie motionless, starving to death in makeshift medical camps. In a shocking, heartbreaking news article made by The Guardian Nigeria, it has been reported that nearly 2.6 million Nigerians have been displaced– driven from their homes– since the insurgency began (source). There is news that is even more disturbing: Although severely under-reported, there have been more refugees in the past nine months in Monguno than have been detained in all of Europe (source). What does this mean? It means that thousands– quite possibly millions– of people have been forgotten– left behind, out of sight, out of mind, for months, with aid only coming to help most recently. But while shocking statistics abound on the amount of displaced people in Northern Nigeria without a home or food this season, they all come down to this: There is a massive amount of people, who, for one reason or another, have largely gone unheard in their suffering. These people are starving for food; but so much more, for love, and for feeling like– and actually knowing– that they matter. During this time of the season, at least in the United States, there is MUCH to do: family to see, food to eat, celebrations to be had, houses to clean and decorate– it is easy for one to lose sight of the world around them, with so much hustling and bustling. With Thanksgiving just ended, many have reflected upon the gifts they are thankful for. And, as Christmas is starting to be in the air (at least, on the radios, and in stores), one starts to think about the reason for the season, the reason why Christ-followers all around the world truly celebrate: Jesus Christ’s birth. While this too can easily be forgotten amidst the presents, tinsel, and Black Friday Christmas deals, the story of Christ coming to earth is the ultimate narrative– a narrative that this world is, whether they know it or not, dying to hear. The message of John 4– and the message of the nativity– is simple: God gave. While the Christian will usually think of Christ coming to earth when thinking of the birth of Christ, it is a beautiful thing to ponder the fact that He was sent: that God the Father gave his only begotten son, and what a sacrifice this truly was. As one thinks of Christ, who “was there in the beginning” (as evidenced by John 1:1-3), and saw the whole world formed, fallen, and in chaos and despair, it is a marvel that He would come to that dark, disgusting, painful world, to die. God not only saw the darkness– He saw the people “that sit in darkness and in the shadow of death” (Luke 1:79). God the Father gave Jesus Christ to this world, because God Loved, and God saw. God the Father saw those sitting in the darkness; and as He saw them, He heard them. “And God heard their groaning, and God remembered his covenant with Abraham, with Isaac, and with Jacob,” Exodus 2:24 proclaims; and, just as God heard the cries of the Israelites, suffering from their captivity to the Egyptians, He heard the cries of mankind, suffering under the weight of sin and death. God saw; God heard; and so, full of Perfect Love, God sent. When thinking of the vast goodness of God– that He would give God the Son, Jesus Christ, to this world, to save them from their sins– it fills the hearts of those who Love Him, with complete and utter Joy. What kind of Love the Father has lavished! Under the wonderful weight of realizing all God the Father has given us, one Truth becomes apparent: Because Jesus heard mankind’s cry for help, it becomes the hearts of those who have accepted Him to hear the cries of those who are still crying out. However one acts, in reaction to their cries, may differ based on how Christ leads them to act; but one thing is for certain: to hear the cries of those in distress, and not act, is to ignore. The snake bite of death in the lives of mankind– caused by our own sin– just like the Israelites, was cured by Christ, who was “lifted up” on the cross, at Calvary. Today, Christ’s call is the same. “…for I am the Lord that healeth thee” (Exodus 15:26, KJV). Are you in need of healing? Physical, emotional, and mental brokenness is only proof of the fact that sin and death are prevalent in this world, and of the true spiritual healing all of humanity needs, by coming to Christ. Read of the God who can heal you– and what He has already done to heal you, spiritually– here. You are good! No matter what the situation is like, we cannot thank You enough for sending Your only Son, so that we can know that even in the darkest of times, that You are good to us– and You never change. We thank You that we can say You are good. We see so much darkness, around us. On the news, and in our very own lives, there is SO MUCH pain. Father God, I thank You for knowing that pain, in sending Jesus to this broken world, to die for our sin. Right now, as we have seen the extreme starvation and need for medical intervention in these people’s lives, we pray for the starvation going on at all levels: physically, mentally, spiritually, and emotionally. I pray for these people, and I pray that You would fill them up. Please help Your People to stand against this darkness, and to “fill” others spiritually, as they share Your Good News. As men and women become desperate for survival, I pray that You would please bring them to Your Throne, so that they can realize that You alone fulfill their every need, and heal their every disease. I pray that Your People, no mater who they are, would seek You in how to best assist these victims of Boko Haram violence. Please fill them, Your People, in Northern Nigeria, with ALL they need to share Your Gospel, whether that would be to Boko Haram Members, or to the internally displaced peoples around them. Please, Father God, bring even the disgusting members of Boko Haram to Yourself, and help us to pray for them, as well. May Your Word go forth in power– and may a revival happen, in these IDP Camps. We pray for continued relief– and that You would show us how to take action, in love, for these people, however You lead us. 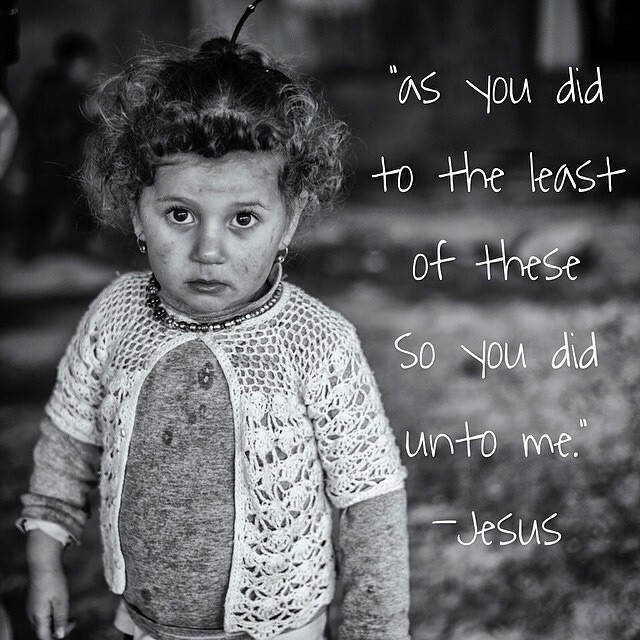 If you believe Christ is leading you to give to those currently aiding displaced peoples, this post, dedicated to reputable Christian (and a few non-Christian) nonprofits currently on the ground in crisis areas, is a great place to start looking and praying about giving to. (Most of them do not know they are on this list. They are nonprofits I truly prayed over, investigated, and wrote about, with the belief that they are reputable. No sense of sponsorship has gone on for their place in this post, whatsoever.) It is just a friendly resource I was led to make available to those interested in giving! Thank you for your prayers and support, as well as for reading this post. PLEASE PRAY FOR LYDIA SIMON. CLICK ON THE PICTURE FOR MORE ABOUT HER! As of April 20th, 2019, Lydia Simon has not been found or freed from Boko Haram, as far as we know. She is #5 in this banner photo. "‘Truly I tell you, whatever you did for one of the least of these brothers and sisters of mine, you did for me.’" Matthew 25:40, NIV. Reload Love aims to protect, help, and heal children who have been caught in the trauma of warfare all over the world. Using fashionable methods, Reload Love creates jewelry for men and women from spent bullet casings, creating both awareness and earnings that go towards projects worldwide-- all in Jesus' name. Learn more about this beautiful project by clicking the image above! Unless otherwise noted, all articles and literary works originally posted here are the copyrighted work of Annalee Hoover and Isaiah 62 Prayer Ministry.